Click on the banner above to go to the James Buchanan homepage at the University of Virginia's Miller Center. 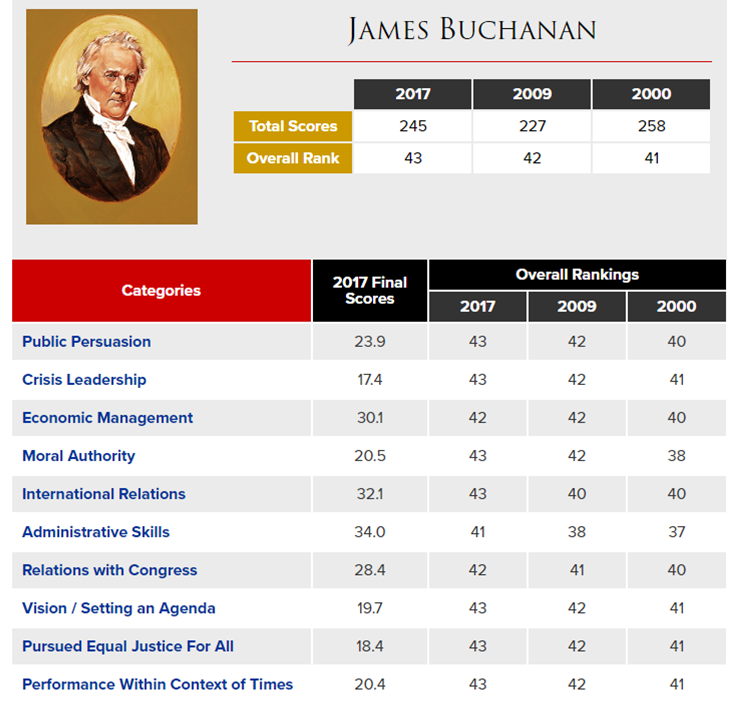 Click on the buttons below for in-depth information about Buchanan's Presidency. At 28, Buchanan was engaged to be married. Because of untrue rumors, his fiancée broke off the engagement. 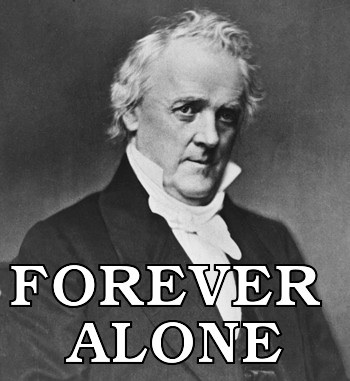 A heart-broken and grief-stricken Buchanan vowed never to marry and is the only President to remain a batchelor his entire life. Buchanan often drank his sorrows away. He didn't like that the White House was generally stocked with just two small bottles of champagne, so, every Sunday, he went to a distillery and picked up a 10 gallon jug of whiskey. He drank cognac and up to two bottles of other kinds of alcohol... every night. 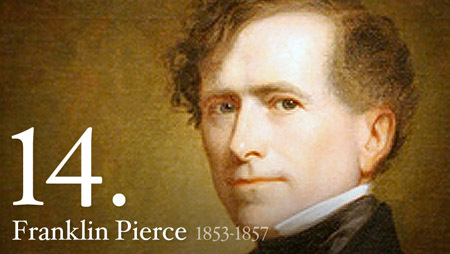 Because he was never married, the duties of the White House hostess were performed by his niece, Harriet Lane. One of Buchanan's eyes was nearsighted and the other farsighted. As a result, he always tilted his head to the left. Buchanan offered a bounty of $250 for the head of John Brown (the notorious abolitionist that captured Harpers Ferry and tried to form the first black republic). As a result, Brown offered a bounty of $2.50 for the head of Buchanan. In the months leading up to the Election of 1856, Republicans harped on Buchanan's seemingly heartless statement that ten cents a day was adequate pay for a workingman. They jeered him as "Ten-Cent Jimmy". 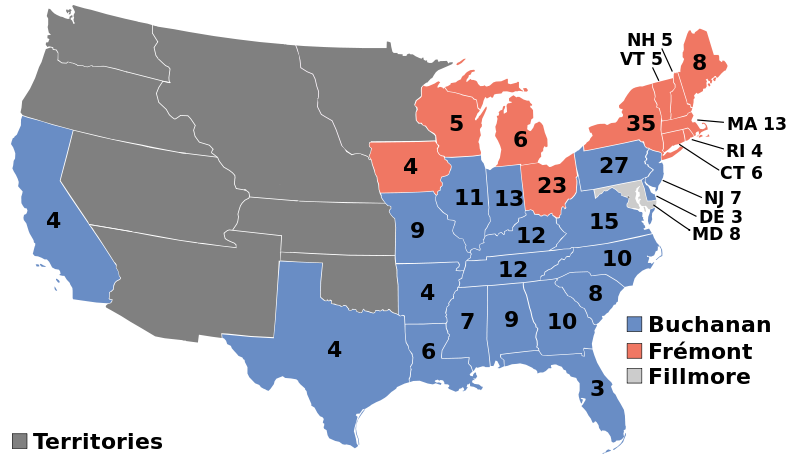 Because his tenure as President wasn't over until March 4, 1861, Buchanan was the sitting President (albeit a "Lame Duck") when seven southern states seceded following the election of Abraham Lincoln to form the Confederacy on February 4, 1861. Buchanan attended Dickinson College in the early 1800s, and, after being expelled for bad behavior (which included heavy drinking, cigar smoking, and practical jokes), he was later allowed to return. He graduated with honors in 1809. During Buchanan's tenure as Secretary of State under President James K. Polk, he turned down an offer to become a justice for the U.S. Supreme Court, instead focusing his attention on negotiating the Oregon Treaty with Britain. (That treaty ultimately settled a long-standing dispute regarding territorial ownership in the Pacific Northwest. The present border between the state of Washington in the U.S., and British Columbia in Canada, was established by this treaty.) 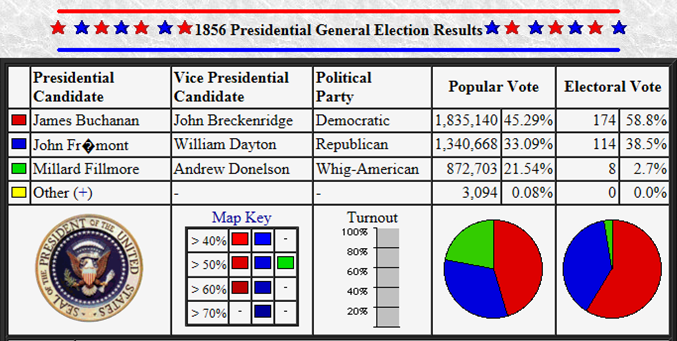 To date, Buchanan is the last Secretary of State to become President. Much speculation has been made about Buchanan's sexual orientation, with the majority of modern experts convinced he was unquestionably gay. After his fiancée called off their engagement, Buchanan vowed to never marry. Instead, he lived for many years in D.C. with Alabama Senator William Rufus King (who became Vice President under Franklin Pierce.) Rumors abounded about their relationship, and the two were jokingly referred to by other Congressmen as "Buchanan and his wife". Following both men's deaths, their personal correspondence to one another was destroyed by their surviving family members, leading to even more speculation about the nature of their relationship. Buchanan published his memoirs a few years prior to his death, becoming the first President to do so. In those memoirs he defended himself and his choices in office, particularly his highly criticized choice to essentially do nothing about the seccession of the Southern states following the election of Abraham Lincoln in 1860. He predicted that history would vindicate him. Wrong. 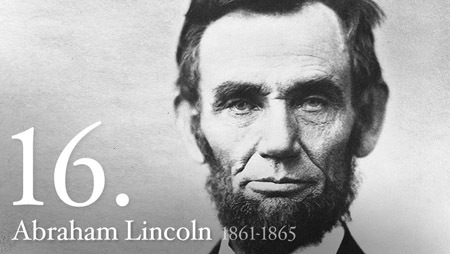 To this day, historians consider him to be the worst U.S. President.